Distemper in dogs (distemper, a disease of the Caret) is a dangerous virus to get sick. It is accompanied by fever, General intoxication, lesions of the skin (eczema), mucous membranes of the gastrointestinal tract, respiratory system, nervous system. Distemper is passed from a sick animal to a healthy contact, airborne droplets, through the digestive tract. This disease occurs in dogs, foxes, Minks, Martens, ferrets, wolves. According to the severity and percentage of deaths, it ranks second after rabies. The virus is found in saliva, blood, exhaled air and faeces of a sick animal. Carriers of the pathogen can also be worms, and insects. The disease can be transmitted in any time of the year. Most often, the virus of a plague carnivorous aktiviziruyutsya spring. Recover from distemper, the animal may infect healthy individuals for 2-3 months. Dog can catch distemper anywhere, for example, on the walk. People can bring the virus into the house on the soles of shoes. Mainly, the infection occurs through the nose, mouth and ears. The causative agent of the disease enters the lymph through the bloodstream and then spreads throughout the body. From the moment of infection, it may take from four to ten days. 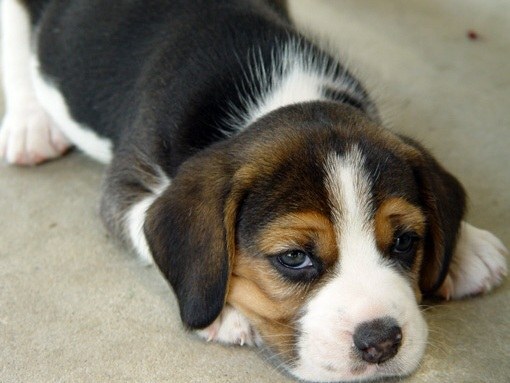 Most often distemper affects puppies aged from 3 to 12 months. The catch can and unvaccinated adult dogs with a weakened immune system, animals in poor conditions with defective feeding. The virus affects the skin, gastrointestinal tract, nervous system. After distemper animals, as a rule, more it don't hurt. For human distemper safe. Cats also can get sick with distemper (panleukopenia). This condition is caused by a different virus, but is also hard, the outcome is often fatal. These diseases are not transmitted from dog to cat and Vice versa. Panleukopenia is not dangerous to humans. For cats it is very contagious. Distemper is passed from a sick animal to a healthy one through contact, and through infected objects. The cat can catch the virus, once in place, where there was a sick animal. Panleukopenia also affects ferrets, mink. The feline distemper virus can exist in the environment for a long time, it tolerates high temperatures and the action of disinfectants. Even a year after recovery, the virus panleukopenia is in the house, and a new animal can be infected. The cat who recover panleukopenia, gets immunity to disease until the end of life. For the prevention of infection with distemper need to vaccinate cats and dogs. The vaccine protects the animal during the year.